Don't miss these rare items of the really popular Japanese voices of your favorite shows! SUPER HIGH QUALITY!!!! Super popular voice actors from Japan! Rare and out of print, even in Japan!!!!! Don't miss these rare items of the really popular Japanese voices of your favorite shows! 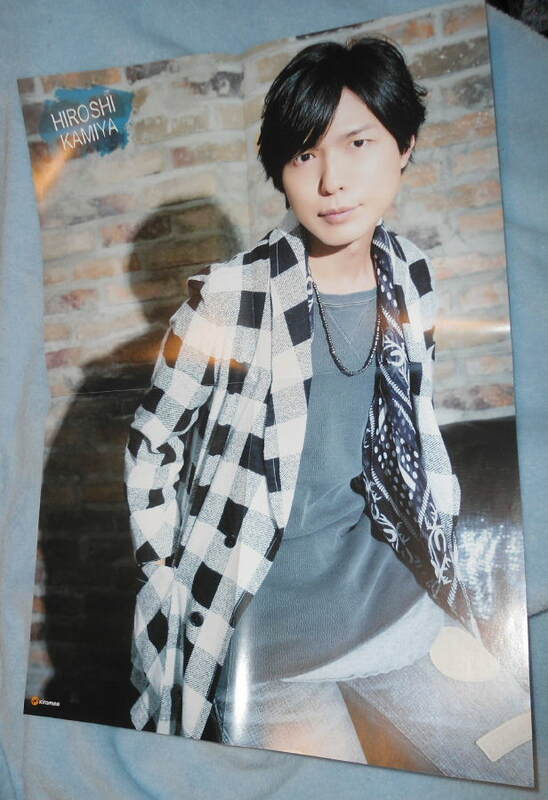 Kamiya HIROSHI Giant Glossy Reversible Poster 2016 JAPAN NEW Approx 20" x 26"
This is for a seiyuu poster of 'King' Kamiya from Japan! Brand new, excellent condition. Never used! Minty new! Spring 2016! 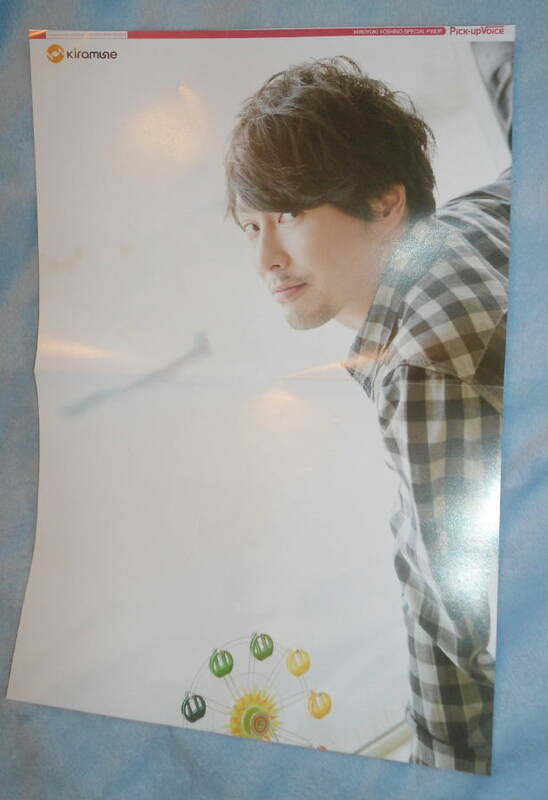 This is for a beautiful seiyuu poster from Japan! In full glossy color, new never used! Approx 14" x 20" in size. 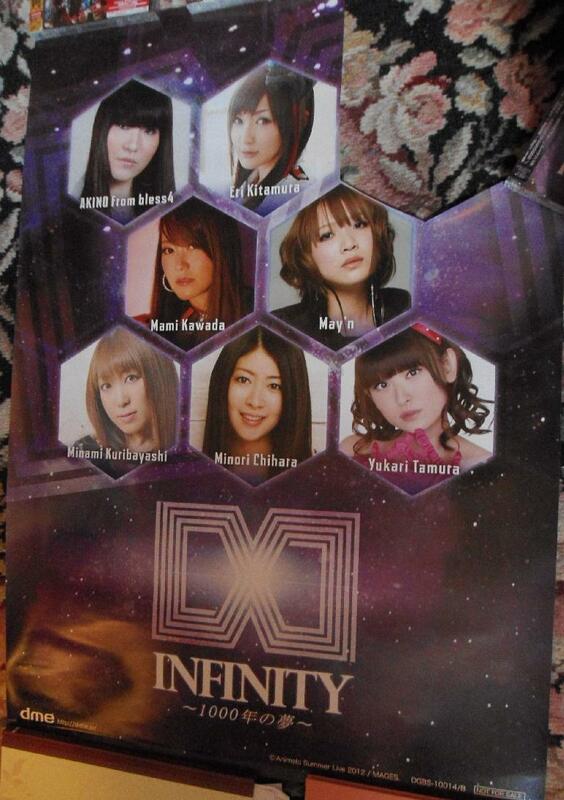 Rare seiyuu poster of Super popular voice actors from Japan! In full glossy color, new never used, in full color & glossy! Approx 14" x 24" in size. 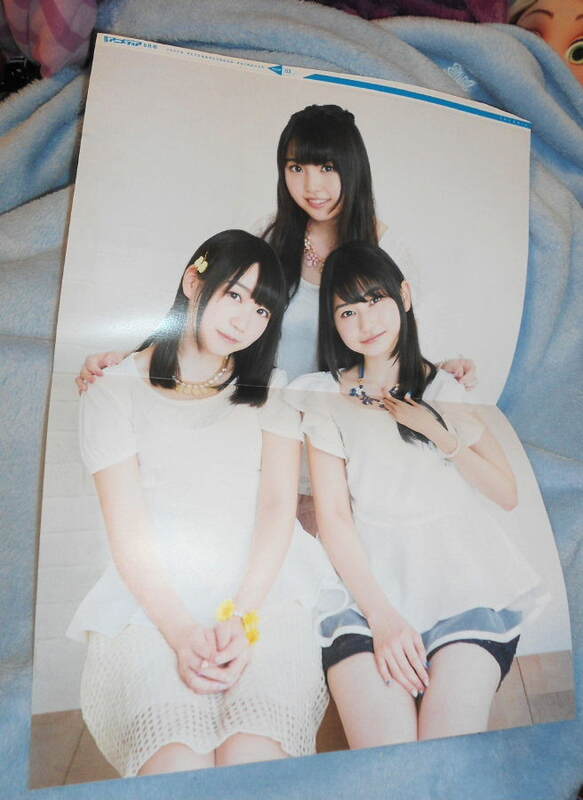 TRYSAIL gals triple fold-out Reversible Poster from Japan!! 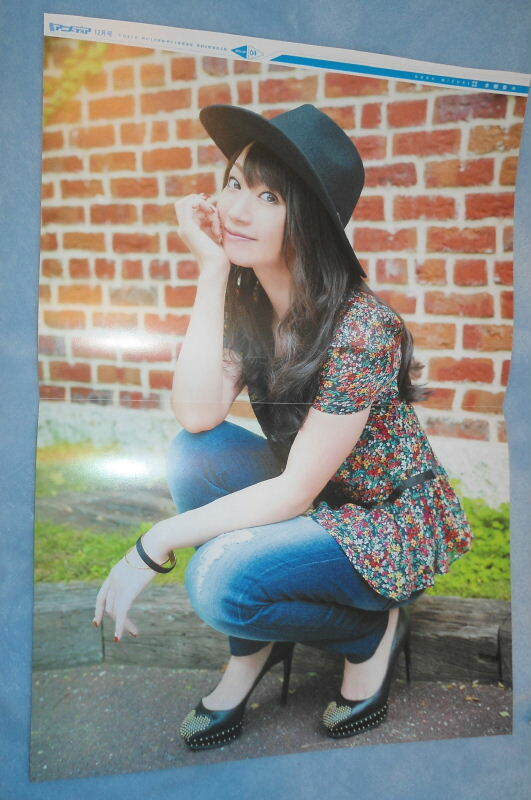 Beautiful singer/seiyuu poster from Japan! In full glossy color, new never used! Approx 14" x 24" in size. 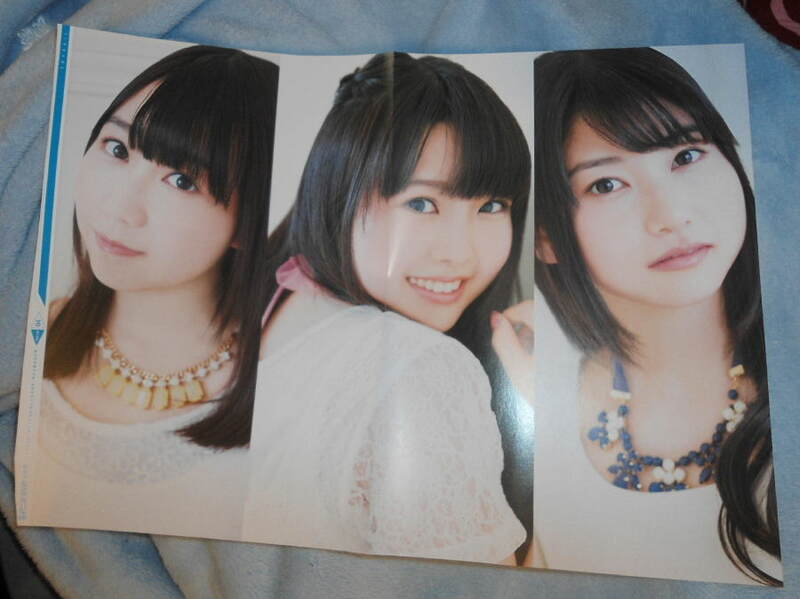 TRYSAIL gals Reversible Poster from Japan!! 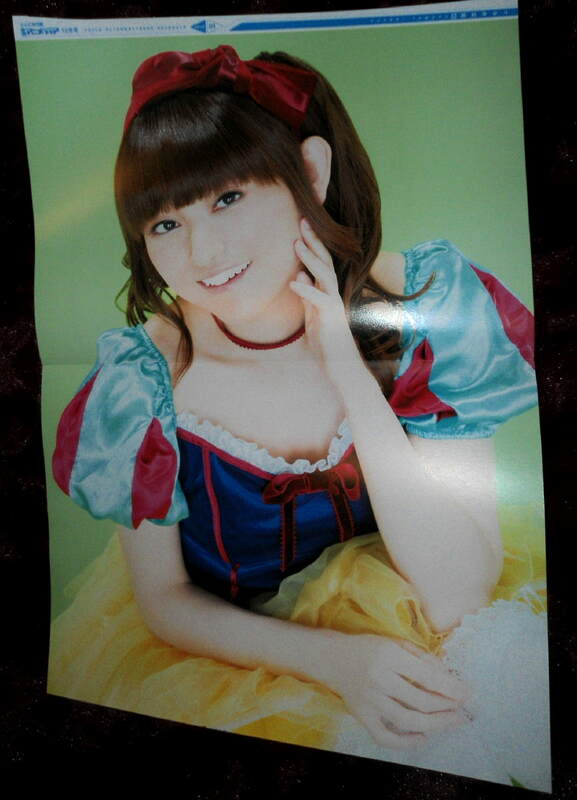 Beautiful singer/seiyuu poster from Japan! In full glossy color, new never used! Approx 14" x 20" in size. 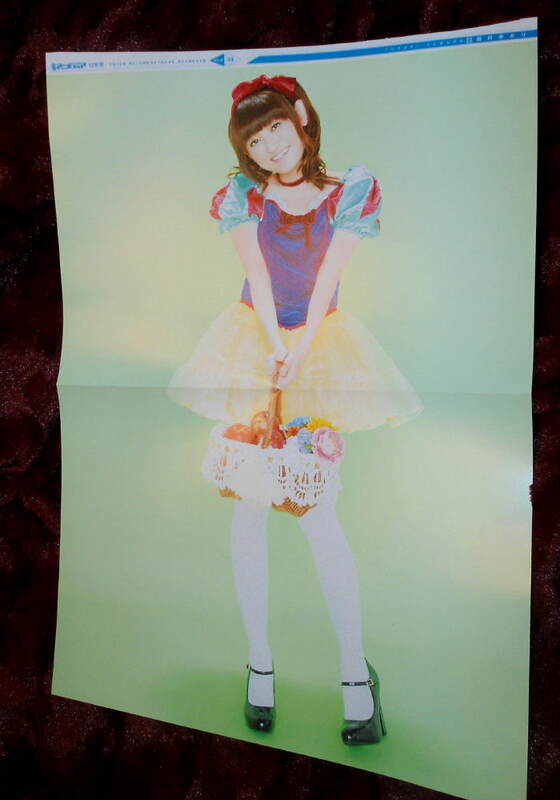 Seiyuu dual sided reversible paper folder FROM JAPAN Rare! 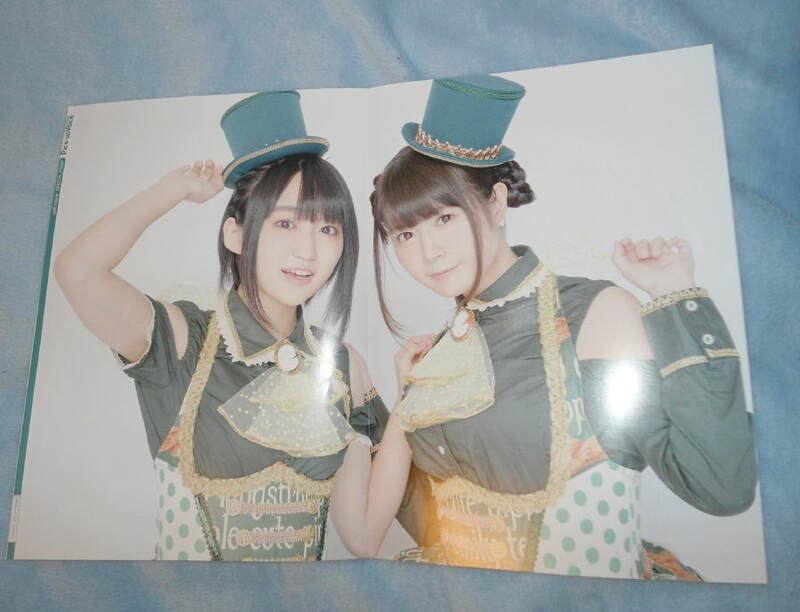 Mizuki Nana 2016 Seiyuu dual sided reversible poster FROM Japan! Rare! 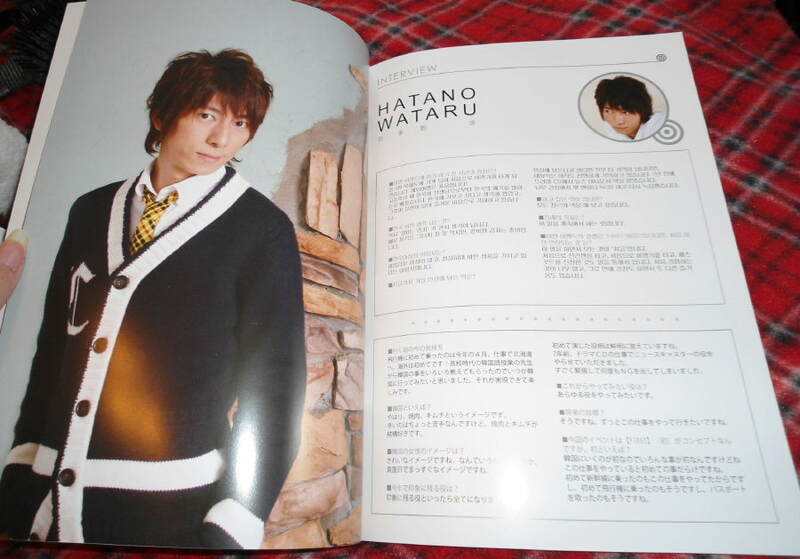 Super popular voice actor/ singer from Japan! In full glossy color, new never used! Approx 14" x 20" in size. 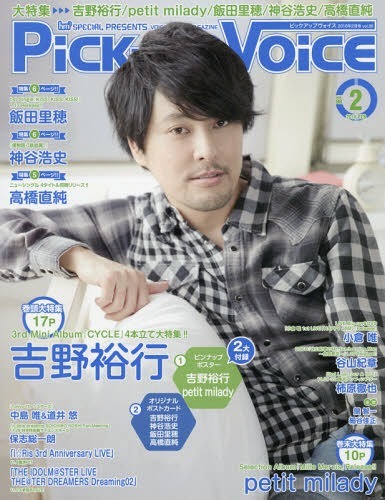 Seiyuu PICK UP VOICE Lot 7 Magazine Nana Mizuki/ Miyano Mamoru/ Hiroyuki Yoshino & many many more!! 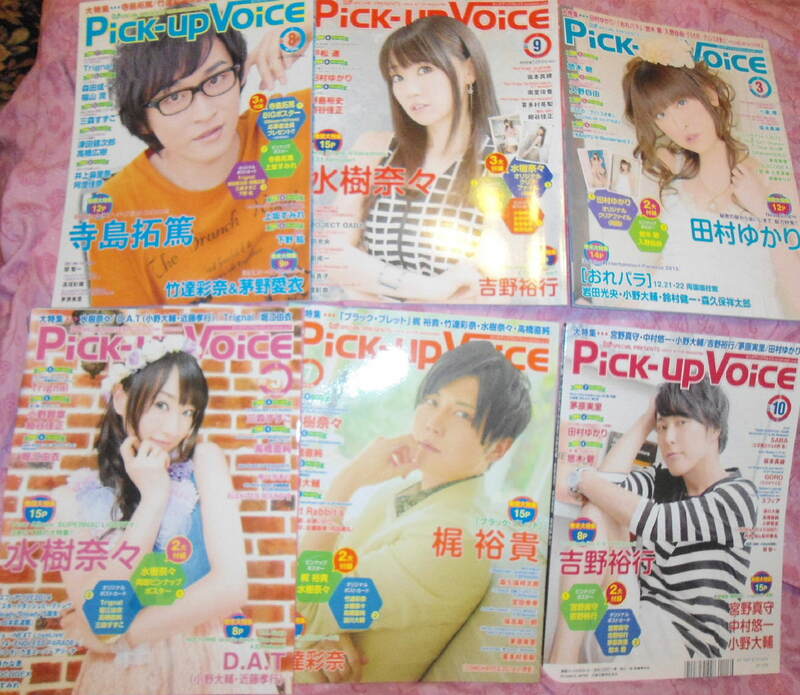 Lot of 7 Seiyuu Magazines FROM JAPAN! Rare! 2014-2016! 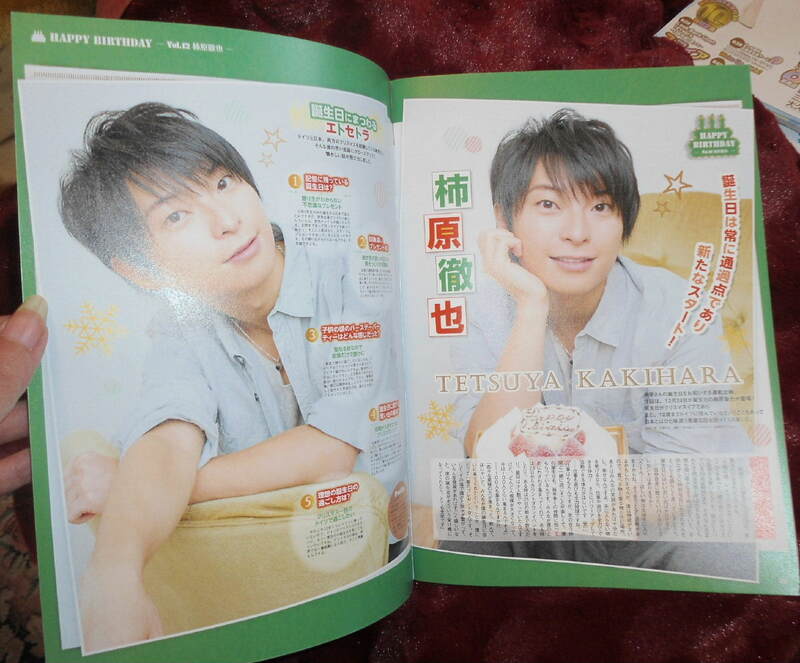 This is for a lot of 7 seiyuu 2014-2015 magazines featuring hit anime voice actors from Japan! In full glossy color with some b&w pages. The magazines are brand new, never read/used, BUT some of the pages have been carefully removed/clipped out and all bonus items, like posters or furuku are not included. 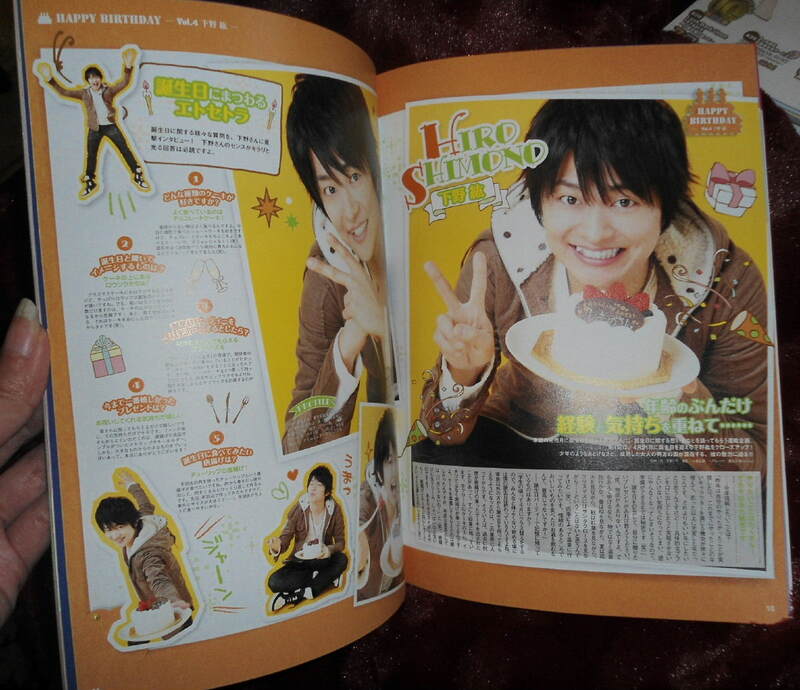 Please note: THE GRANRODEO, DABA, Fukuyama Jun, Hino Satoshi, and some various other PAGES HAVE BEEN CAREFULLY REMOVED FROM MAGAZINES AND ARE NOT INCLUDED. These books are in brand new unread condition, but some pages have been removed, including all posters and bonuses. For additional pictures of some inside pages, please contact me and I'll email them to you for viewing. 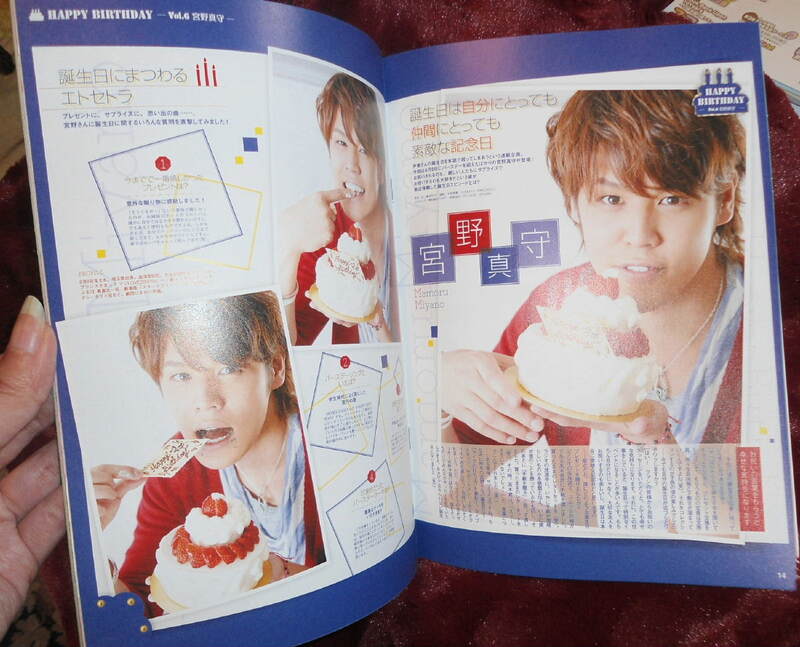 Super popular seiyuu birthday collection from Japan! 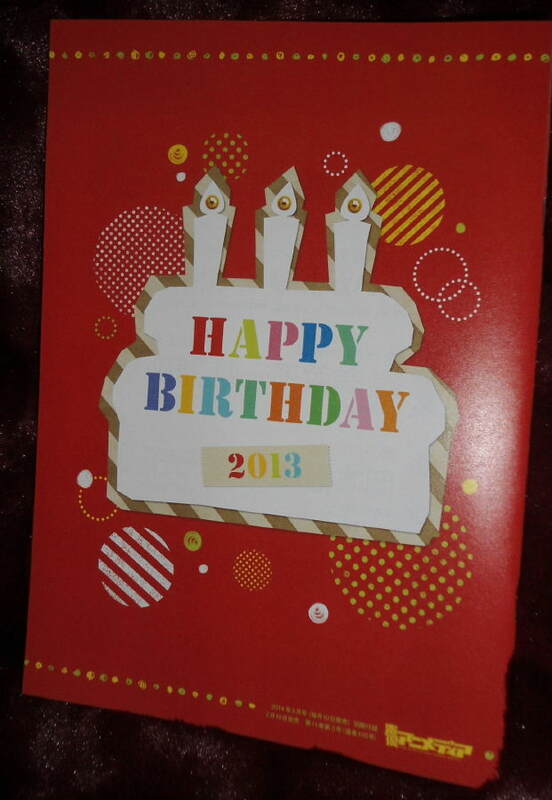 This is for a Voice Actor Happy Birthday Book from 2013! 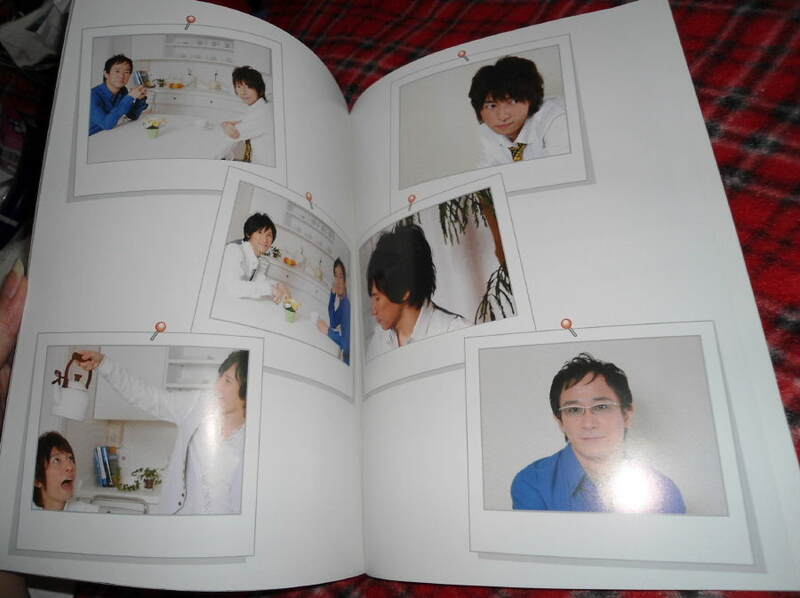 Includes all different birthday pictures and messages from popular seiyuu, like Sachika Misawa, Miyano Mamoru, HIro Shimono, Kakihara Tetsuya, Minako Kotobuki and Chihara Minori! 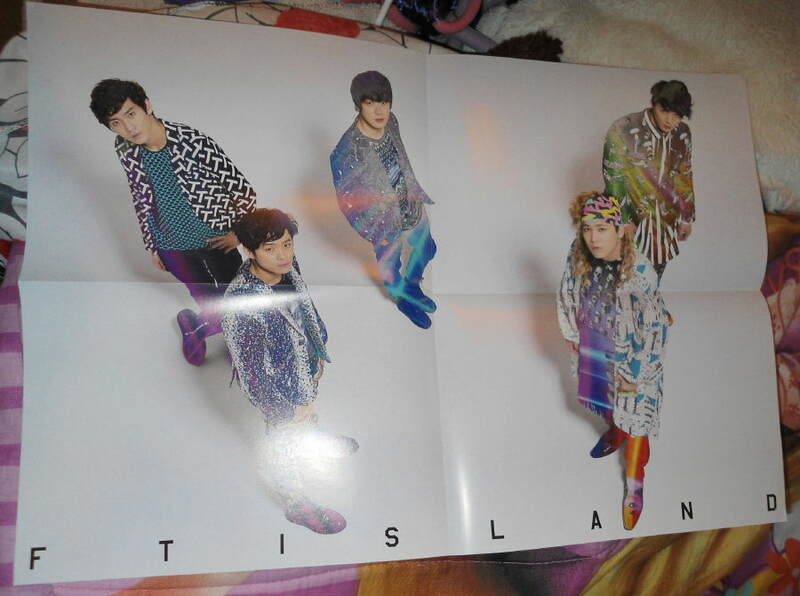 This is for a cool seiyuu poster from Japan! In full glossy color, new never used! Super popular voice actors/ singers from Japan! This is for a cool seiyuu poster from Japan! 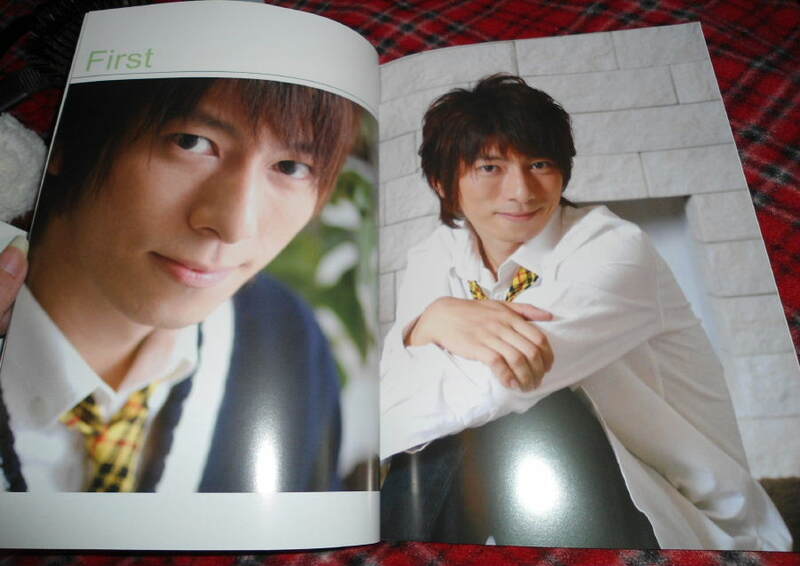 SAY U PROJECT 2008 PAMPHLET PHOTO BOOK! NEW!! Here is a brand new, !st ever in a popular series of visits to Seoul SAY U PROJECT 2008 PAMPHLET PHOTO BOOK! 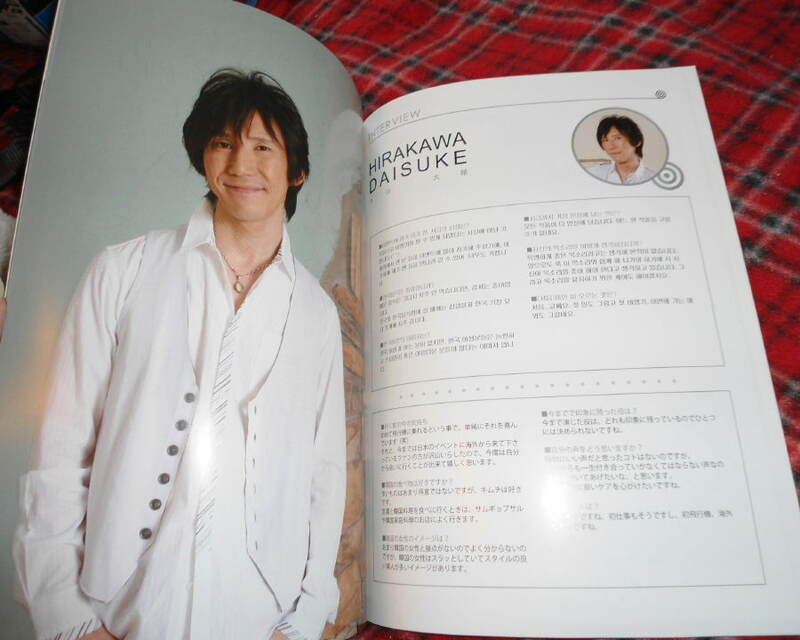 The book is a virtual photogravure of 3 famous leading Seiyuu stars of anime: Experienced Veteran voice Narita Ken; Handsome leading man Hataru Watano; and the sweet and !ovable Hirakawa Daisuke! The many pages of this extra large sized panphlet are all full color and glossy. These 3 Seiyuu traveled to Seoul, Korea by special request in 2008 to take part in the first time special event on stage there featuring their voice talents. 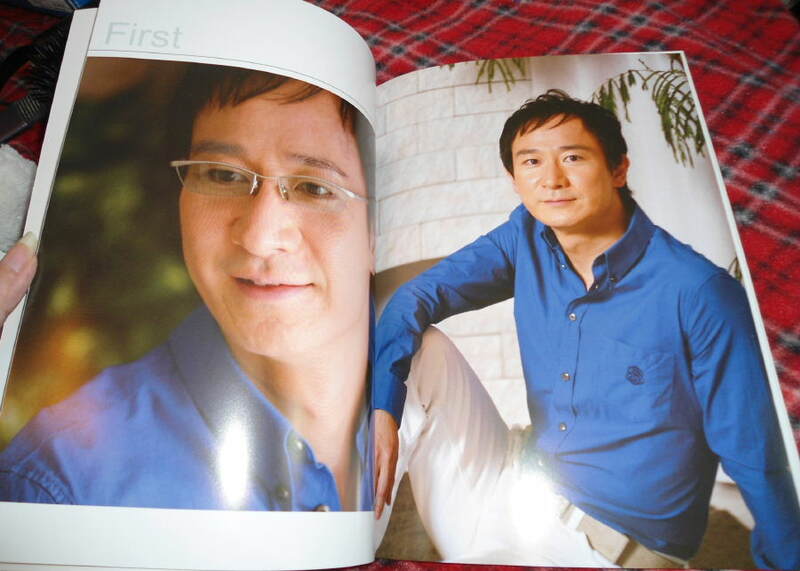 And this book pamphlet full of photos and interviews is a memento of that time. A must have for any Anime fan who's interested in the talented people behind the voices. 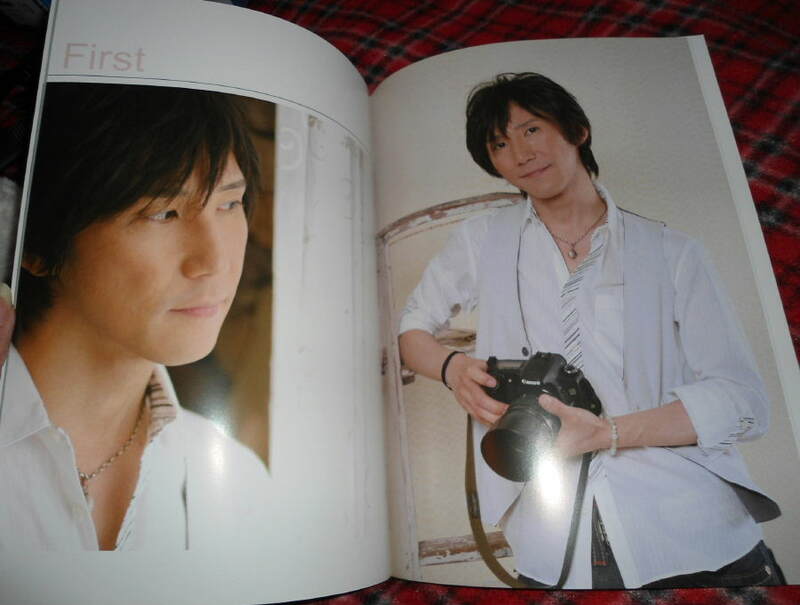 This is for a cool seiyuu book from Japan! Lot of 5 Seiyuu Magazines FROM JAPAN! 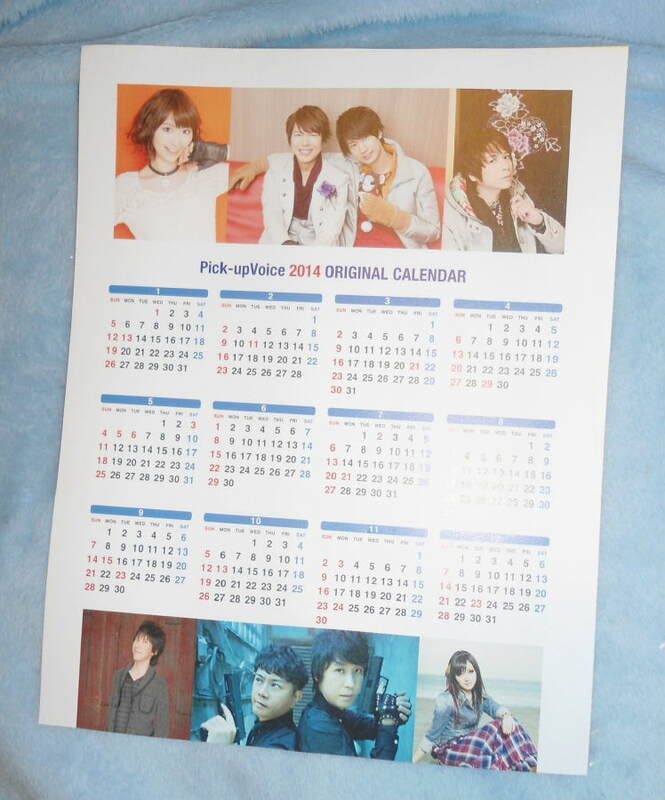 This is for a lot of 5 seiyuu 2014-2015 magazines featuring hit anime voice actors from Japan! In full glossy color with some b&w pages. 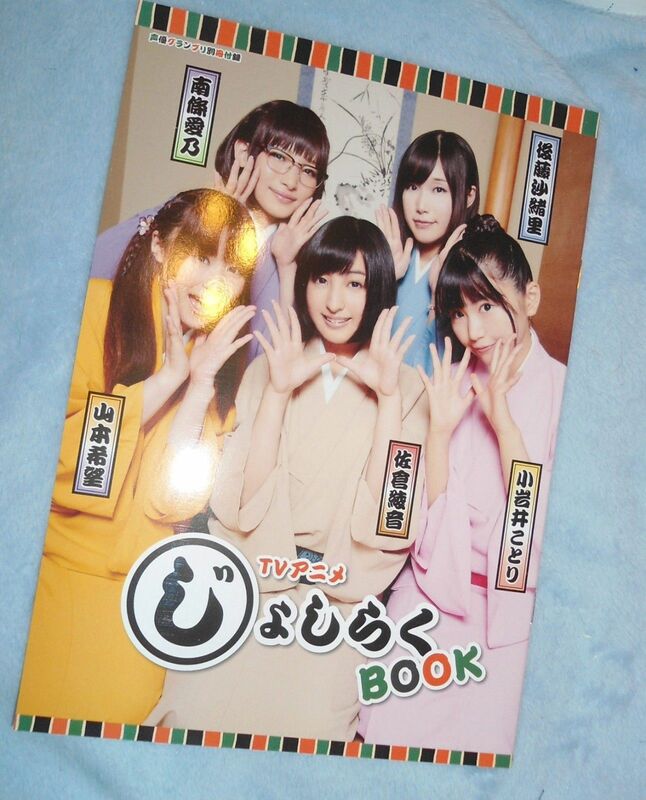 Super popular seiyuu booklet from Japan! 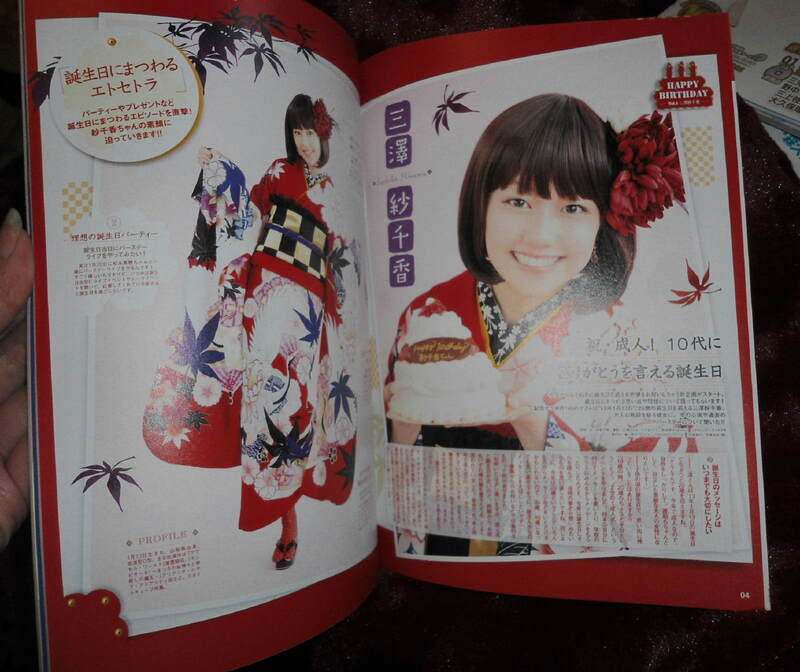 This is for a rare Japanese seiyuu book furoku from Japan! The 5 seiyuu cosplay as their characters from the hit anime! (In Japanese) Brand new! Approx 7x10" in size, 10 glossy pages. In full glossy color, new never used! 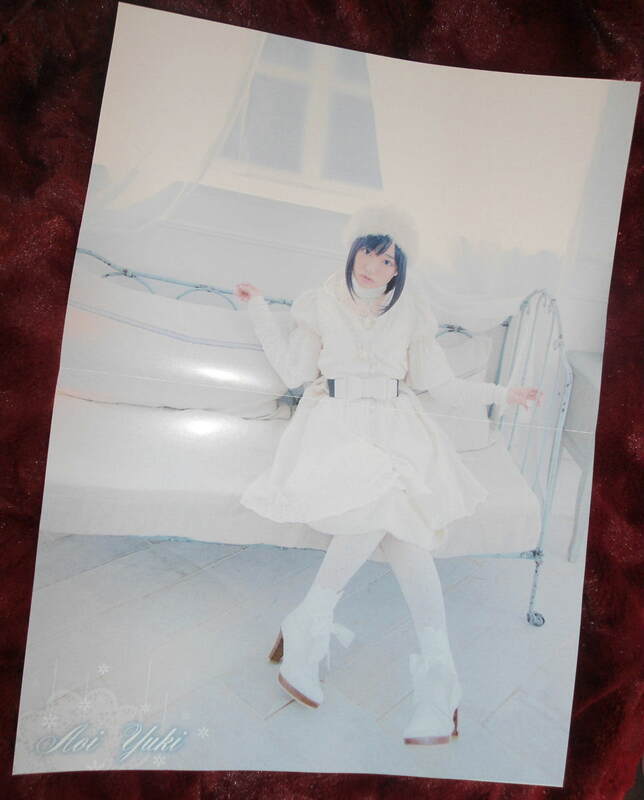 This is for an adorable cosplaying seiyuu poster from Japan! In full glossy color, new never used! Approx 16" x 11.5" in size. 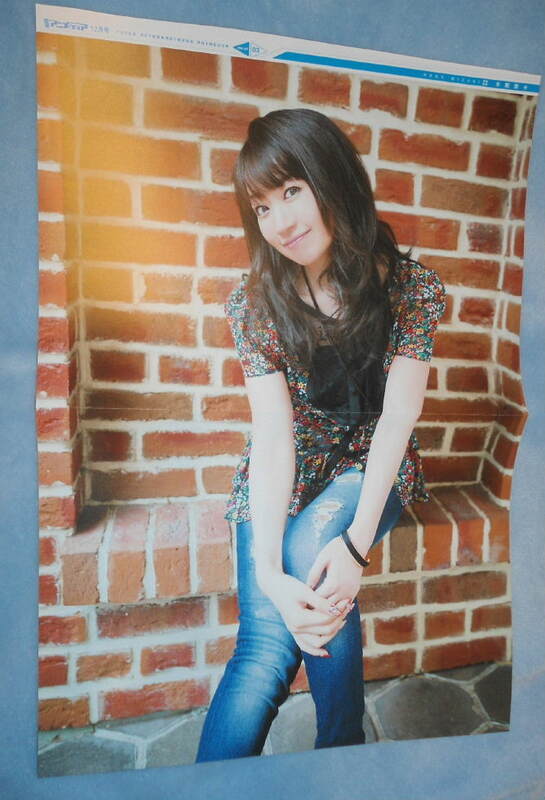 This is for a beautiful seiyuu poster from Japan! In full glossy color, new never used! Approx 23" x 11.5" in size. 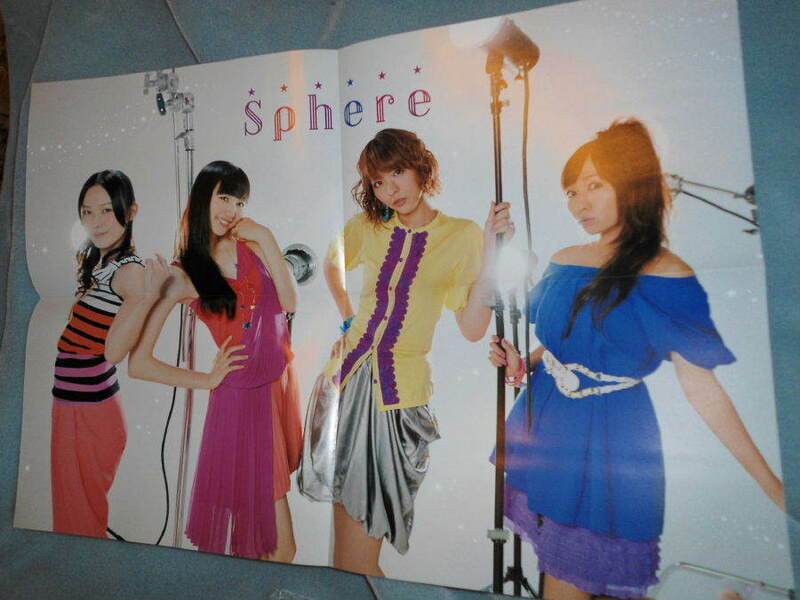 Seiyuu & Girl Band dual sided reversible poster from JAPAN Rare! 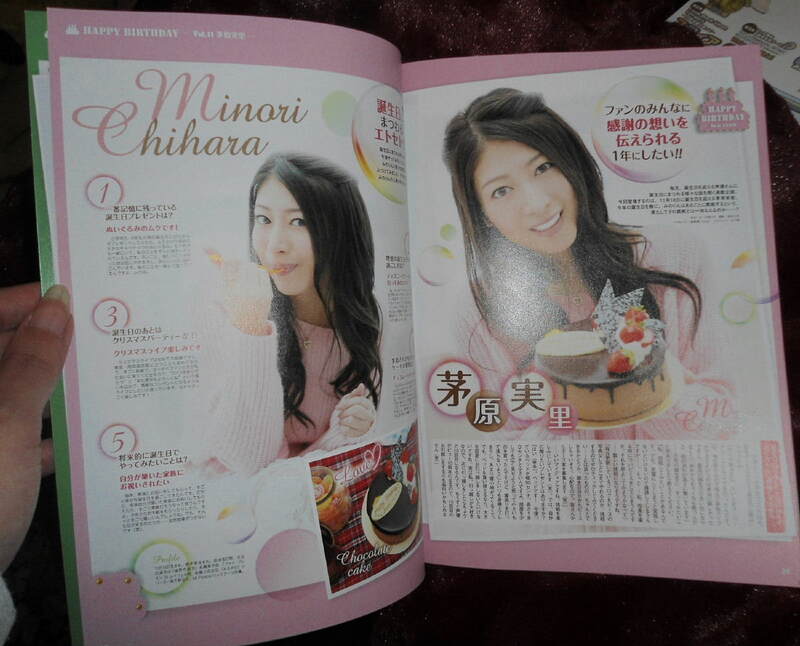 Super popular voice actress from Japan! Rare and out of print, even inJapan!! 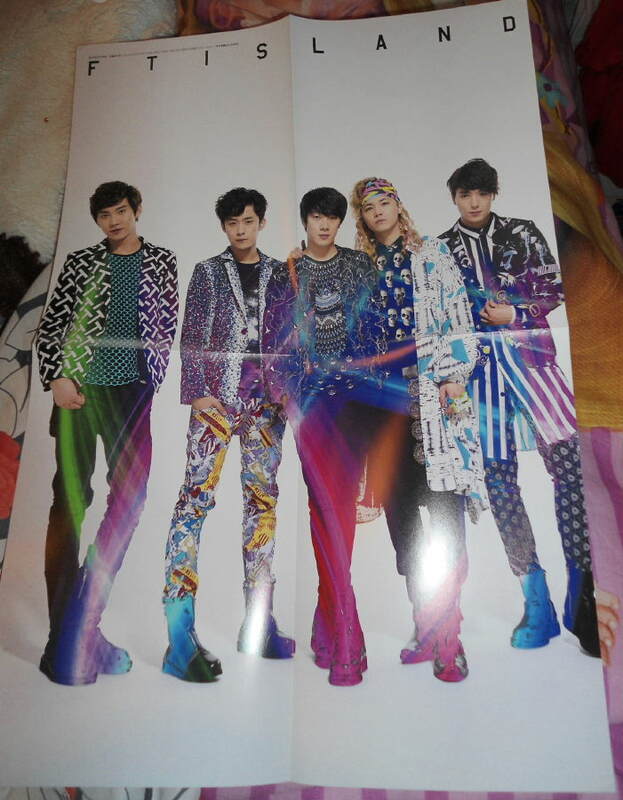 Animelo Infinity 2012 Poster promo from the super popular Japanese rock star concert! 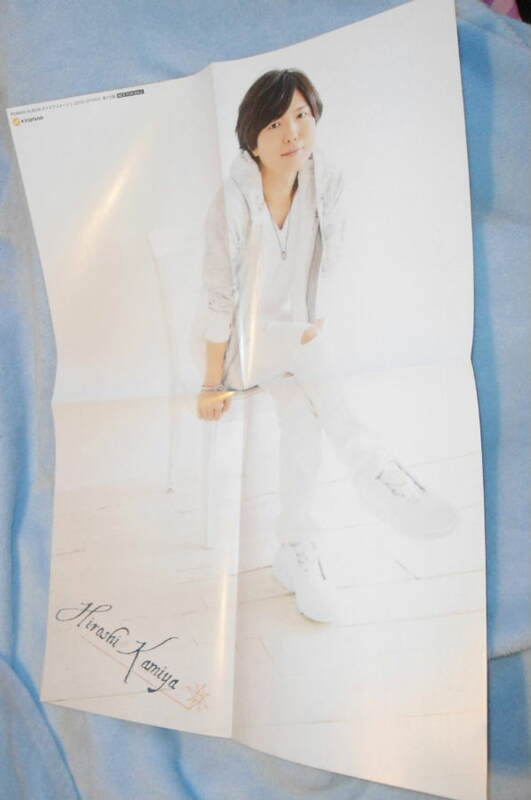 Brand new, never used, never hung nor displayed BUT the Kisho Taniyama picture has been carefully cut/removed from it. Ultra rare and hard to find! 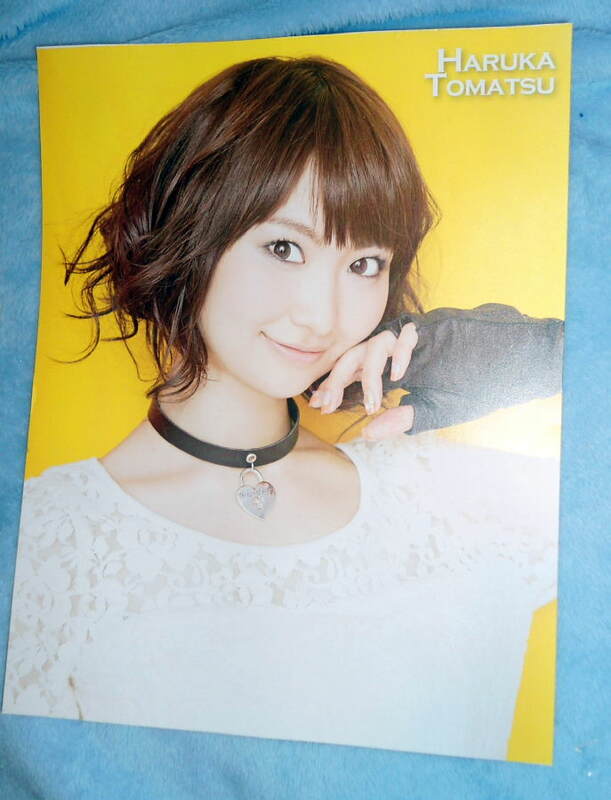 Seiyuu 22 POSTCARDS of Takahashi Naozumi/ Trignal/ Minori Chihara/ Nana Mizuki /Aoi Yuki + more!! 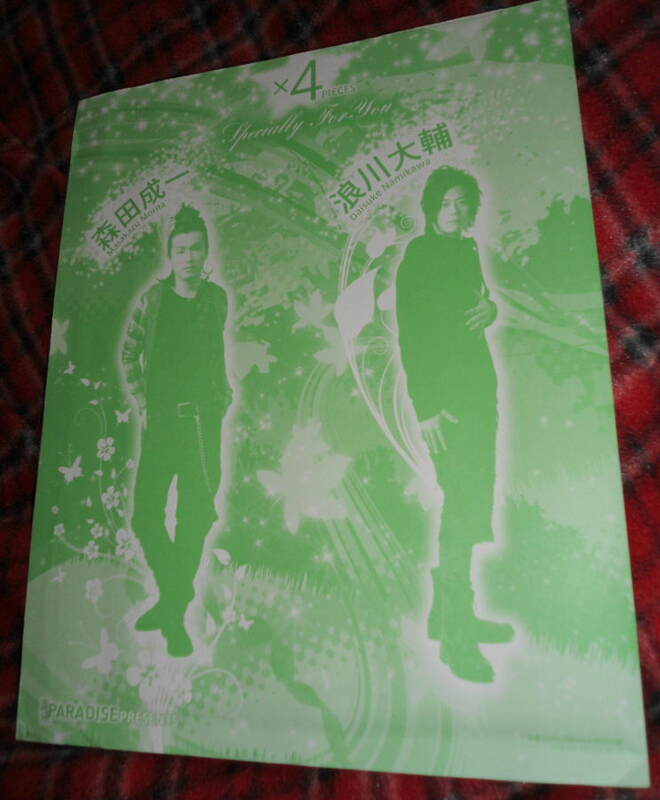 This is for a lot of 20 Postcards of standard sized 5.75" x 4" postcards of famous Japanese Seiyuu/Singers from Japan!!! 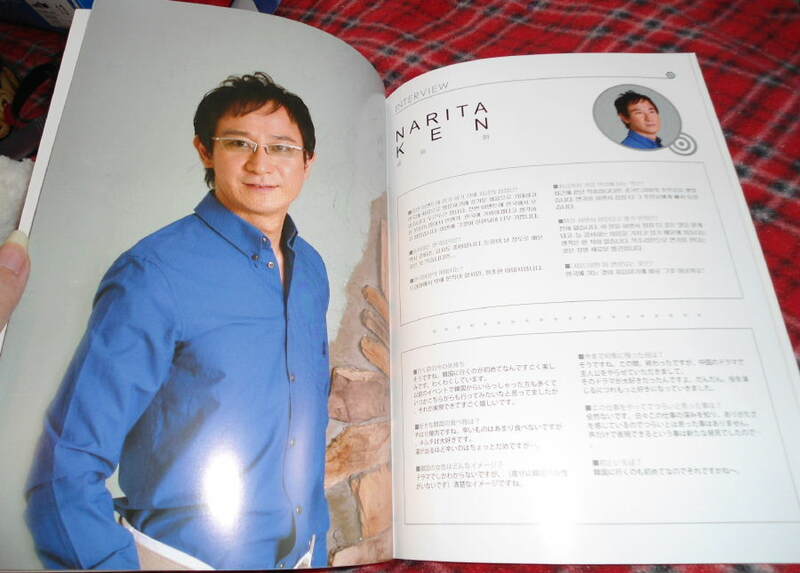 These separate postcards of these cool Japan voice actors are new, never used and gorgeous! 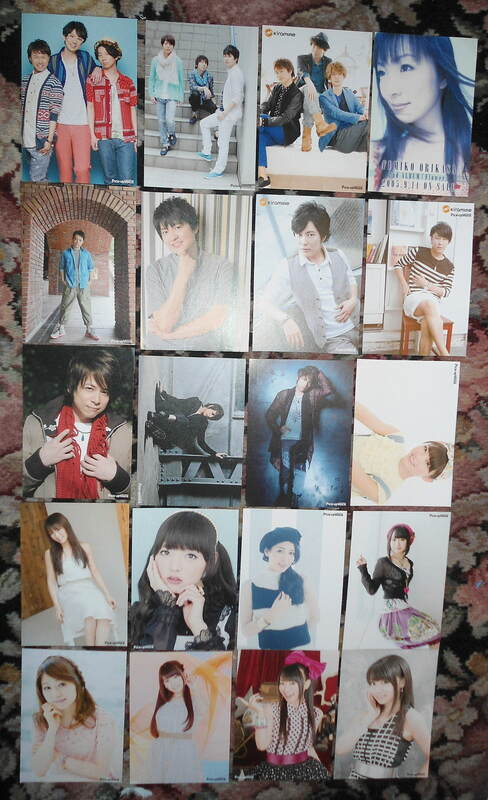 Full color postcards of famous Japanese Seiyuu/ Singers from Japan!! 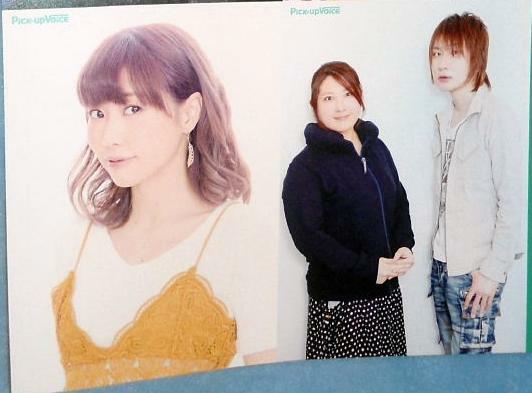 These separate postcards of these cool Japan voice actors are new, never used and gorgeous!